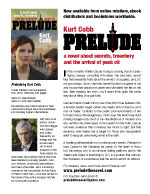 Prelude the novel | A novel about secrets, treachery and the arrival of peak oil. By Kurt Cobb. A startling reinterpretation of contemporary events. Cassie’s transformation from one of the firm’s true believers into a worried skeptic begins when she meets Victor Chernov, a former oil trader. 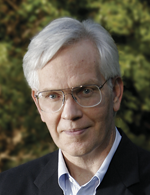 Contrary to the public pronouncements of her firm and many official agencies, Victor says the world may start running dangerously short of oil—the lifeblood of modern society—within only a few years. In her search for the truth, Cassie uncovers evidence that convinces her Victor is right. But that evidence now makes her a target for those who desperately want to keep an unknowing world in the dark.